As kids, many of us grew up hoping to play sports at the professional level. I vividly remember playing backyard football and keeping up with my stats like I had a million dollar contract to prove my worth. In reality, very few of us actually make it; however, Tyrod Taylor is different. Growing up in Virginia, Tyrod excelled as an athlete from a young age. He was a three sport athlete in high school and played multiple positions on the football team. His stellar play in high school led to football scholarships and Tyrod eventually signed with Virginia Tech. 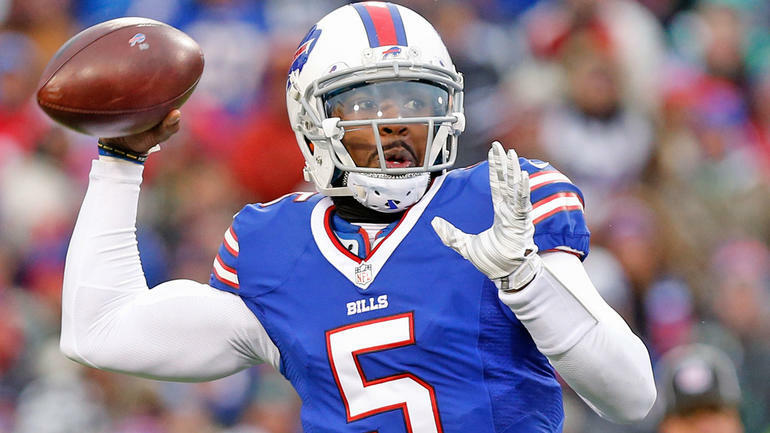 Athleticism and determination have helped give Tyrod Taylor net worth a value of $10 million. In college, Taylor started 42 of 50 games during his four year career. He amassed 50 passing touchdowns along with another 23 rushing touchdowns in his tenure. During his senior season, he was named the ACC Player of the Year. He led his Hokies to the ACC Championship game that season, where they knocked off the Florida State Seminoles. In the 2011 NFL draft the following year, he would be selected 180th overall by the Baltimore Ravens. While his first four seasons at Baltimore were mainly spent in the backup role, he would eventually become a starter when he signed with the Buffalo Bills in 2015. A strong showing during the 2015 season with Buffalo eventually led to Tyrod signing an enormous contract with the Bills. This contract was worth $90 million over five years and would significantly add to Tyrod Taylor net worth. The 2016 NFL season didn’t go as well as Tyrod or the Bills had hoped. Tyrod’s play was average, but the Bills had another losing record which led to the firing of head coach Rex Ryan. A clause in Tyrod Taylor’s contract made it so Buffalo didn’t have to pay him the remaining four years of his original five year $90 million contract, which they didn’t. Instead, the organization decided to restructure the deal, and in March of 2017 it was eventually altered to 2 years for just $30 million. Despite throwing 48 touchdowns to only 15 interceptions from 2015 through the first 10 games of 2017, Taylor has yet to solidify his starting spot among the coaching staff. Yesterday, Tyrod did earn his starting role back against the Kansas City Chiefs. By the end of the 2017 NFL season, Tyrod Taylor’s net earnings through the league will exceed $27 million. More than half of that amount is being earned during this season through his salary and signing bonus. If Tyrod can get back on track and lead the Bills to numerous wins down the stretch, he may be able to solidify himself as a staple in the team’s locker room. A good end to the season means that Tryod can expect the Bills to exercise their option for the 2018 season, where he’ll be due roughly $16 million. Stellar play towards the end of the season is the best way for Tyrod Taylor net worth to continue to increase in the years to come. For the average layperson, doing taxes is not a lot of fun; most of us really don’t know enough about this to feel confident in our tax filing skills. If your tax situation is straight-forward and uncomplicated, filing on your own with tax software can be simple. There are certain situations, though, when a tax pro is pretty darn close to a necessity. Learn when to hire a tax professional for your sanity and your wallet. If you’ve recently launched a business, chances are you did a lot of research and know what you’re doing. However, the tax laws for these businesses are a whole different ball game. Don’t wait until you make mistakes. Hire a tax preparer the first year you’re in business or risk going down a bad road before you even get started. Inheriting money can be a wonderful thing, especially if it comes at a time in your life when you’re living paycheck to paycheck. This is all the more reason to hire a tax preparer, as he or she can help you avoid paying large capital gains taxes on this sum. Any change in your family status would make it extremely helpful for you to hire a tax preparer. Depending on when you got married, your tax professional could tell you whether it would be more beneficial for you to file jointly or separately. Conversely, your tax professional can help you tackle unpaid tax liabilities caused by a former business partner. This person could also help you ensure that you’re filing your alimony correctly. Having children simply means filing differently; it’s better to be safe than sorry, especially when it comes to leaving money on the table. Let’s face it—doing taxes isn’t for everyone. Many of us simply have no idea how to file, anything about deductions, or even the first thing about tax breaks and credits. Because this ignorance often means money out of our pockets, it’s best to hire a tax pro if you’ve made errors on past tax filings. Not only that, but your tax pro can help you go in and rectify mistakes from past years. We’ve all heard about the tax breaks you’ll get as a home owner. It’s often what motivates many renters to get in the game. But what do you do if you have no idea how it works? Well, you hire a tax preparer. As Barbara Taibi, a partner at accounting firm EisnerAmper, says via US News, “For the sale of a house, if it’s your primary residence and you live in the house and own the house [for at least] two out of the last five years, you may qualify for a capital gains exclusion of a half million dollars if it’s a joint return.” Now that’s significant and something you likely wouldn’t have known without consulting a tax pro. Adoption is a lengthy and bureaucratic procedure in and of itself, but often the most rewarding thing many parents will say they’ve ever done. On top of expanding your family, though, you need to know about the tax filing factors that go with this. As that same US News article notes, the IRS was offering a tax credit of up to $13,400 per child as of 2015. This is for expenses related to the adoption and is considered in relation to income limits. In order to properly document payments and submit eligible expenses on your tax returns, you need to hire a tax advocate. 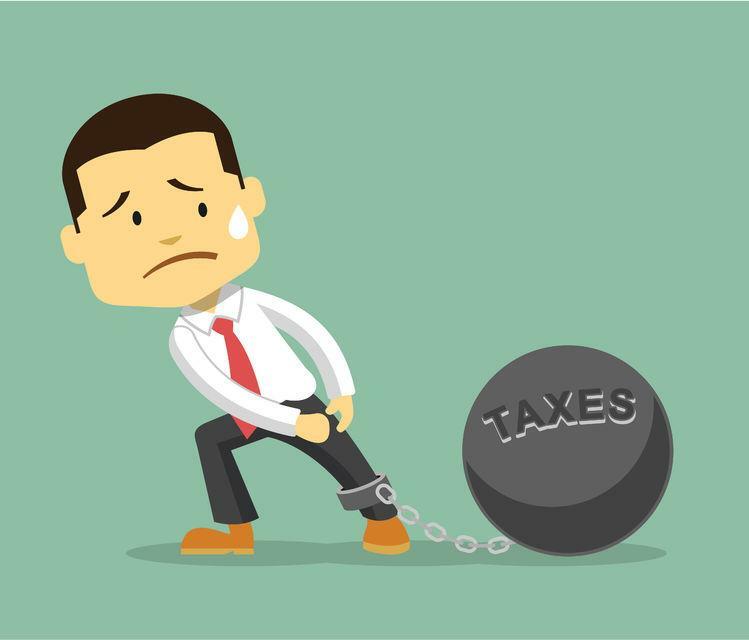 If you’ve done taxes on your own as well as hired a tax preparer, you likely know that the latter is the safer way to go. With knowledge of the ever-changing tax laws and how to submit and document everything correctly, the amount you pay this person will likely pay off in a big way when it comes to tax refunds. Is a $250K Net Worth at 28 Possible? I often write a number of net worth pieces on athletes, coaches and other famous individuals, but what about the rest of us who aren’t worth millions? Your age and net worth should have a positive correlation, the older you get the better the opportunity to build your net worth. That is why I pose the question, is a $250,000 net worth before you are 30 even possible? The answer is yes! We are familiar with young stars such as Justin Bieber, Rihanna, and Andrew Wiggins having a net worth in the high millions, but what about the rest of us? Let’s first talk about what net worth actually means. As is illustrated in the image above, net worth is calculated with a simple equation. 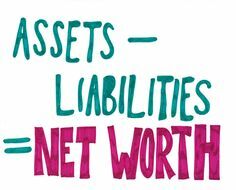 You take all of your assets (house, retirement accounts, cars, etc.) and from that you subtract all of your liabilities (mortgage, debts). The resulting equation will equal one’s net worth. As previously stated, net worth tends to increase the older you get. That is why I am looking forward to my future net worth. At 28 years of age, my net worth already exceeds a quarter of a million dollars. How have I been able to build a $250k net worth? There were a number of smart financial decisions I made in order to build my wealth in such a short period of time. When I began my first job at the age of 23 (just five years ago), I had a negative net worth. There were student loans I had to pay back, and after being in college for four years I didn’t have a chance to save much money. I focused on paying off my debts, in this case my student loans. Getting out of debt is crucial to building one’s net worth. The next thing I focused on to build my net worth was by budgeting and investing. The focus of this blog today is still the same as it was when I began it three years ago, budget and invest. 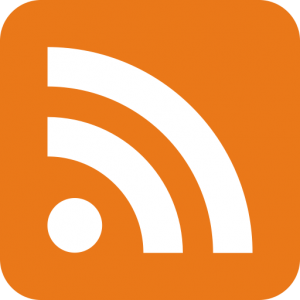 You can still download a free monthly budget template on this site. Budgeting allowed me to focus on paying off my debts while also helping me determine how much money I could save in a given month. This process helped me towards my $250k net worth that I am seeing today. The final step was focusing on my earning potential. I switched jobs a couple times, each time to a position that paid me more than the previous. I also, turned my house purchase into a cash flow positive rental property. By increasing my earning power and paying off my debts I have now been able to save more than ever before. Each person’s financial situation is different. There are plenty of individual’s in their twenties who are worth a lot more than me and there are also plenty that are worth a lot less. I was once told long ago that you cannot focus on someone else’s earnings and net worth, you have to focus on your own. After all, only you can control your financial decisions. The greatest sprinter of all time, Usain Bolt, stunned the world again this summer at the 2017 World Championships. At the age of 30, the legendary athlete announced his retirement, lost his world champion status and suffered an injury all in a matter of a few days. Nevertheless, the Jamaican star bowed out at the very top of his game, with an unprecedented career behind him. Already an Olympian, he won his third, consecutive triple gold at the 2016 Summer Olympics in Rio for the 100m, 200m and 4 x 100m. Add this to his three world records (at three different distances) and 11 world championship titles and you have one of the most successful athletes of all time. Unsurprisingly, he’s in a league of his own when it comes to his financial earnings, too. Usain Bolt is the only track and field athlete to rank in Forbes’ latest celebrity rich list in which he is ranked at number 88 and he’s estimated to be the 23rd highest-earning athlete in the world. In 2017, his net worth is valued at over $58 million, but interestingly, only around 3.5% of that came from winning races. With 11 gold medals, one silver and two relay world records under his belt, Bolt has earned the equivalent of just under $1 million from major world championships. Unlike athletes from other countries, Jamaican athletes don’t receive any prize money for medals won at Olympic or Commonwealth games, so even though these wins haven’t directly contributed to Bolt’s bank balance, they’ve had an invaluable impact on his star power. With his headlining potential, he can command large appearance fees that reach over $350,000. He’s also been the individual winner of Diamond League races a total of 23 times and the overall winner of one Diamond League Race, which has accumulated winnings of more than $274,000. 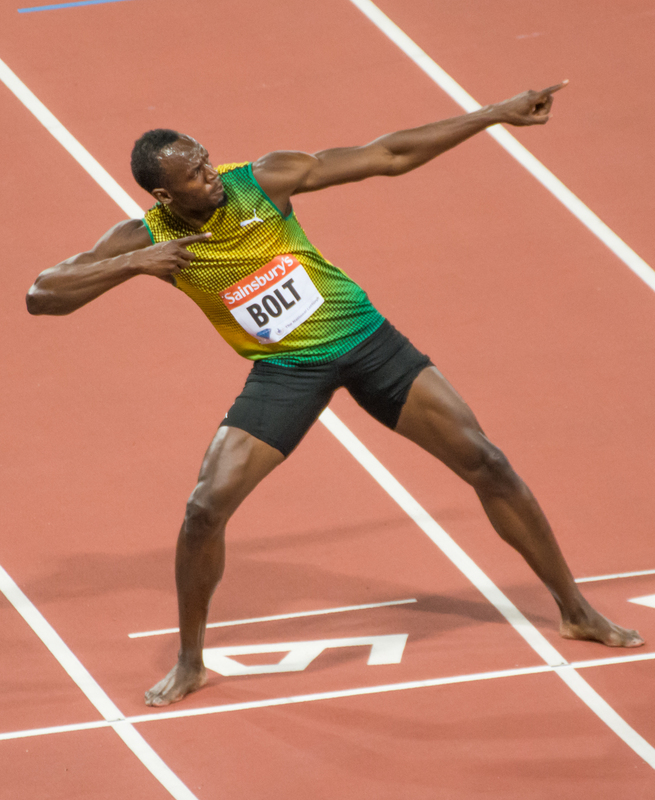 Usain Bolt is a brand marketer’s dream! If we look at the 2012 London Olympics, more than a million entrances had been registered into the ticket ballot for the men’s 100 meter final and organizers were eventually able to charge up to £874 (approx. $1,140) for a seat. He boasts endorsement deals with PUMA, Virgin Media, Visa and Nissan among others, and also has a Regupol-sponsored, world-class running track installed at his Jamaican training venue. Bolt chooses his celebrity appearances based on his personality as much as his athletic prowess and his recent collaboration with PokerStars is a good example of that. Shortly after his retirement, Bolt became the face of the PokerStars ZOOM Poker Usain Bolt Edition, the first time the company had ever included celebrity-branded tables in its games. PokerStars is a leading global online poker platform with its own mobile casino and real money app. The company also sponsors top European poker events and has consistently partnered with some of the world’s most famous sports stars, so Bolt was in familiar company! A large portion of Bolt’s income comes from leading sportswear brand PUMA, for which Bolt is a global ambassador until 2025. His 2016 deal with the German company netted him over $10 million a year, which helped his annual earnings to peak over $30 million for 2015-16. His current deal with PUMA following his retirement is valued at around $4 million a year. Bolt’s other major endorsement deals include a $2.6 million package with Virgin, approximately $3 million with Gatorade (plus additional bonuses when he is spotted drinking it), and over $600,000 with Visa. In 2013, Usain Bolt peaked as the 48th highest-earning celebrity in the world, and despite his retirement from the track, we expect him to remain in the top 100 for a number of years to come. Bolt’s running career may have come to an end, but the world is his oyster. In addition to his celebrity poker endorsement this summer, Bolt expressed an interest in starring in Hollywood action movies and playing football for Manchester United! Whatever moves he makes now that he’s hung up his running spikes, it’s unlikely Bolt’s net worth will decrease soon. When it comes to great night life a city that is always at the top of the list is Las Vegas. Also known as Sin City, Vegas attracts both the rich along with the average American and tourist. When it comes to nightlife, very few cities hold a candle for what Las Vegas can offer. In terms of the club scene, Vegas’ Hakkasan rules them all. Located inside the MGM Grand Hotel & Casino, the nightclub always attracts top DJs and performers. I recently traveled to Vegas and knew I had to see what Hakkasan was all about. To make sure I had the best time possible, I bought a Hakkasan VIP Bar Card. While promoters can sometimes get you in for free to the club, the Hakkasan VIP Bar Card review that follows will let you know if planning for your trip in advance is well worth the money. How much does the Hakkasan VIP Bar Card cost? It depends. Depends on what? The performer, day of the week, etc. The biggest performers tend to play on Friday and Saturday nights, so you can expect to pay a little bit more during those days. For ladies, the bar card tends to cost what the bar card costs, which is $100. For men, the overall cost tends to be either $100 or $115 (Friday’s and Saturday’s). This cost for men also includes a $100 bar card. The Hakkasan VIP Bar Card is very easy to use. When you order your bar card online, you will receive a barcode that you show at the door. This will tell the bouncer what all you receive, in this case admission and a bar card. 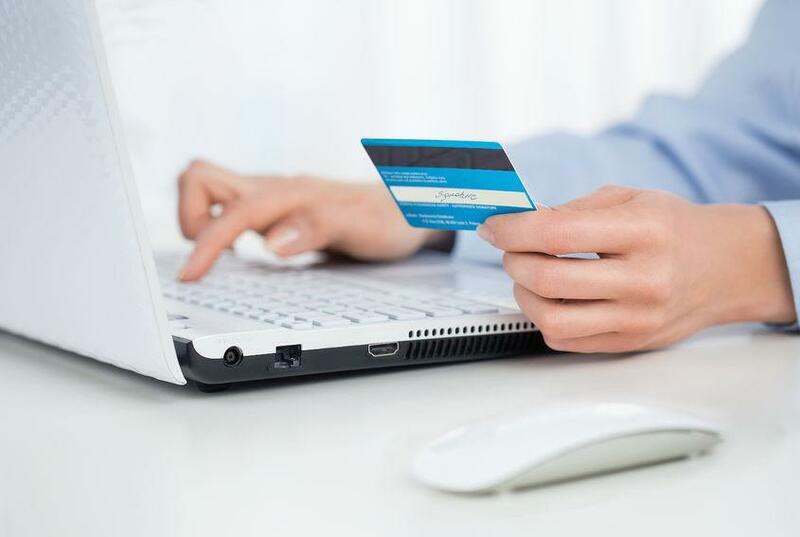 You are then handed a physical card that you can use much like a debit or credit card. It’s important to note that the card is only good for the event you registered for. If you don’t use the total balance on the card by the end of the night, then you lose out on the remaining value. If you do use the full amount of the card (which is easy to do considering beers are $10, and mixed drinks start at $17) then you can simply toss the card out. It is also important to point out that you can not reload the card. After you have used up the value in its entirety you will have to pay for remaining beverages out of your pocket. So now for the final determination, is the Hakkasan VIP Bar Card worth it? Simply put, yes! Whether you are male or female the VIP bar card has great benefit. Firstly, you are in a VIP line and thus aren’t forced to wait in the main line. You get expedited entry. Secondly, if you are male, your admission is discounted on what it would be if you didn’t pay for the VIP bar card. Admission for men can sometimes be as much as $40 just to enter. Finally, the value of the card is substantial enough for one to enjoy themselves, but not too much where you will have unfinished funds at the end of the night. So next time you venture to Sin City, take advantage of the Hakkasan VIP bar card. The age of artificial intelligence is still fresh but the evolution is happening so fast that it’s now agreed that AI can exhibit human characteristics. Although some prominent thought leaders have issued serious warnings about the singularity of AI and the probable threats they pose, the advantages of artificial intelligence seem to be endless. Basically, technology has contributed significantly to business efficiency and customer experience. In the business sector, AI is not a newcomer because it has developed from the first time computers were introduced to business management. However, it is in the last few years that you can clearly envision and foresee how AI will change how business is done. In this article, you’ll learn how AI will influence some business processes. Among the basic ways artificial intelligence will affect businesses is through transformation. If you know anything about AI then you probably know the risks to manual labor. Although this is not something that has been received with excitement among workers in affected positions, it should be well understood that’s what is coming in the near future. Most manufacturing industries dealing with large-scale production see this as an attractive option. This is because it’s not only cheaper but it is also more productive and easy to manage. The precision and low tendency to make errors during production makes them an appropriate replacement for human labor. With the full implementation of AI, business sectors like reception, customer assistance, and other administrative tasks will be transformed. Dealing with customer queries via telephone or messages will become easier and other tasks like accounting will be handled with ease and precision. In fact, some businesses have already incorporated chatbots into their systems and they are doing an awesome job. Besides outstanding efficiency, AI platforms will contribute to huge savings by most companies. Recent trends in business indicate that AI is an important player in the integration and most business processes. In large corporations, fragmentation of crucial business processes has posed some serious challenges and has resulted to bad synergy. Integrating AI technology into daily operations of a business makes it possible to combine the fragmented pieces of work to make a fully functional whole. This leads to consolidated operations, employees, and systems. The ultimate effect is higher productivity, efficiency, and revenue. With the integration of superior AI into business operations, there will be a significant reduction in the margin for mistakes and errors that lead to losses. The higher precision achieved by AI will raise productivity and make businesses less risky. The computing capability of AI programs is superior to humans and this facilitates processing of voluminous data in a short time. For instance, businesses in the financial sector have reaped benefits by utilizing technology in their business processes. Lending companies with online based platforms have an integrated underwriting process that works on its own. This has not only led to more business but the system has made realistic loans service better by ensuring that you are matched to the perfect loan product. The technology has made the operations cheaper even though the level of precision is higher than you’d get with human labor. With artificial intelligence, businesses will adapt more to the new model of working. Currently, there is a shift in how employees work with huge numbers preferring to work remotely or from home. In the future, more organizations will offer their employees the option of working from anywhere in the world. This will help employees to be in charge of their working environment and schedules which leads to increased motivation and productivity. The arrangement also allows employees to get new skills easily and become competent at their jobs. The good thing is that you don’t need to present yourself physically to acquire the skills offered in training. The world population has been on the rise and the trend is expected to continue for over the next few decades. However, the current methods of food production seem to lag behind. Today, AI is being incorporated into farming techniques to ensure productivity. Deep learning has been used to monitor thousands of cows by using facial recognition to identify the needs of an individual cow with minimum human involvement. This technology will be able to accurately identify signs of disease before it has become fatal and notify the farmers for immediate action. In the future, huge tracts of land will have many sensors which will work in conjunction with real-time imagery drones to monitor the crops. This will make it possible for farmers to predict what their plants will need even before they have planted. As a result, the process of food production will become easier and efficient. As time goes, AI is becoming an integral part of a business and it is no longer a reserve for big corporations. Today, small startups have embraced the use of this technology and the future is getting brighter day by day. Although there are concerns and heated arguments about AI, the technology is getting better and better and it’s upon business owners to figure out which is the best way to take advantage of this innovation.